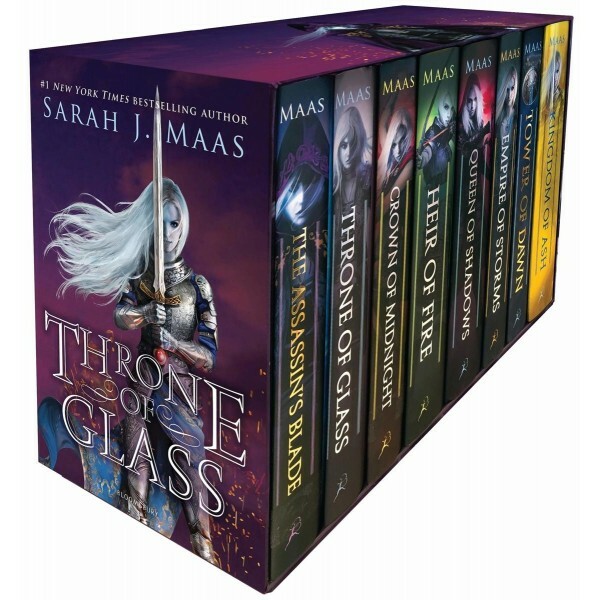 Discover the worldwide phenomenon of the Throne of Glass series in this gorgeous 8-book hardcover box set, complete with an exclusive poster! When magic has gone from the world, and a vicious king rules from his throne of glass, an assassin comes to the castle. She does not come to kill, but to win her freedom. If she can defeat twenty-three killers, thieves, and warriors in a competition to find the greatest assassin in the land, she will become the king's champion and earn her freedom. Her name is Celaena Sardothien — beautiful, deadly, and destined for greatness. But as dark forces gather on the horizon — forces which threaten to destroy her entire world — Celaena must fight to protect everything she holds dear, thrusting her into the epic, heart-stopping fantasy series that has turned #1 bestselling author Sarah J. Maas into a worldwide phenomenon. 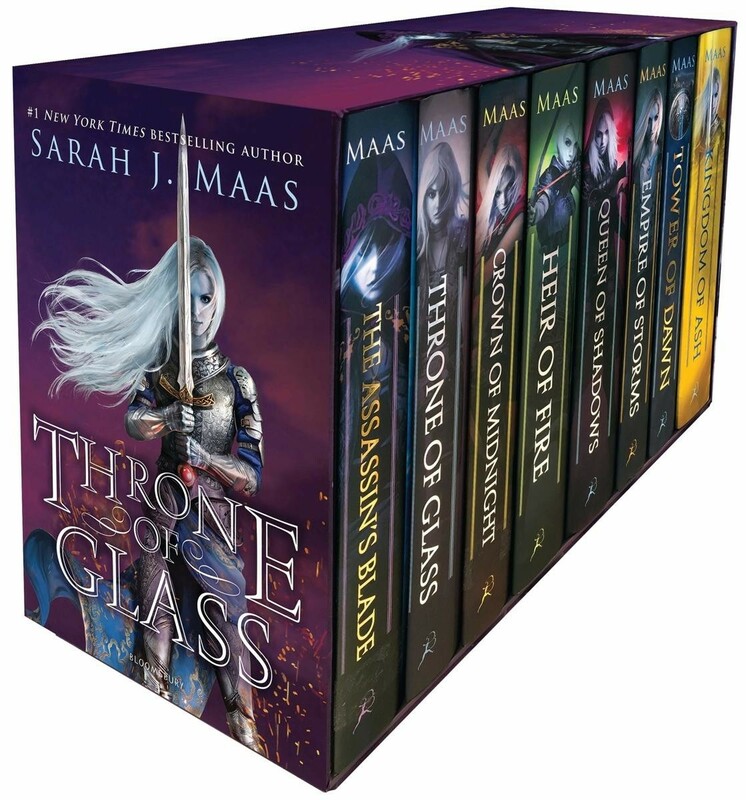 This special box set contains a 4-color poster and hardcover editions of the entire series: The Assassin's Blade, Throne of Glass, Crown of Midnight, Heir of Fire, Queen of Shadows, Empire of Storms, Tower of Dawn, and the thrilling finale, Kingdom of Ash.